Public buses, airport limousine buses and train services serve the Haneda Tokyo Airport. Regular bus services operate from the Haneda Tokyo Airport to Narita International Airport and most major train stations in the Kanto region. The Keihin Kyuko Railway and Tokyo Monorail serve the Haneda Tokyo Airport. The Tokyo Haneda Airport also offers an airport limousine bus, which operates to Shinjuku Station, Tokyo Station and the Tokyo City Air Terminal, located in downtown Tokyo. 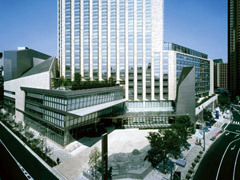 This service also covers hotels located in areas such as Shinjuku, Ikebukuro and Akasaka. Please note: The term Hanedo-Tokyo International Airport HND as well as all associated graphics, logos, and/or other trademarks, tradenames or copyrights are the property of the Tokyo Airport authority and are used herein for factual descriptive purposes only. We are in no way associated with or authorized by the Tokyo Airport authority and neither that entity nor any of its affiliates have licensed or endorsed us.